The band will be joined by Cheap Trick and Lynyrd Skynyrd on select dates. 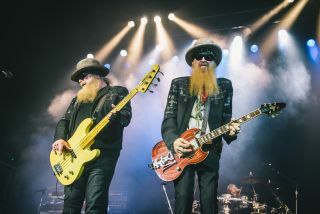 ZZ Top have announced the full details of their 50th anniversary tour. The trek, which kicks off August 16 in Washington, will feature support from Cheap Trick, with Lynyrd Skynyrd onboard for two shows in Irvine and Concord, California.